ECommerce (or online retail) has been a growing trend over the last few years. Due to this, business partners, retailers and suppliers have been transforming their flows and processes in order to better serve today’s well-connected, tech-savvy and wise consumer, who is constantly plugged in to the latest technologies. This change has given rise to various eCommerce platforms that are being quickly adopted by retailers and manufacturers alike. These companies are making big moves in order to evolve, reach a bigger consumer base and increase revenues. One of the big eCommerce platforms to hit the market in the last few years is Shopify. This Canadian-based product is very popular in Canada and the U.S. In today’s article, I will focus on the Shopify eCommerce platform, as we have gained a great deal of experience and expertise in successfully completing integrations with this platform over the last year. Let me first begin by defining some key terms that will be mentioned throughout this article. “eCommerce” stands for Electronic Commerce. With this solution, companies and individuals can showcase and sell products and services directly to the consumer via the Internet. This concept has been a growing trend over the last few years due to consumer demand (people today are always connected and online) as well as the internet-based technology advancements. Shopify is a Canadian-based company offering an eCommerce platform in the cloud, based on a subscription fee. For more information about the Shopify platform, visit their company website here. 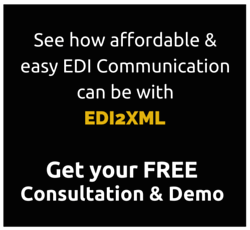 “EDI” is an abbreviation for Electronic Data Interchange. This concept has been around, in the business world, for over 40 years. The most commonly used standard in North America is EDI X12. In short, EDI is the possibility to electronically exchange business related information (i.e. Purchase Orders, Invoices, Shipment Advise…) between business partners, in a secured manner. 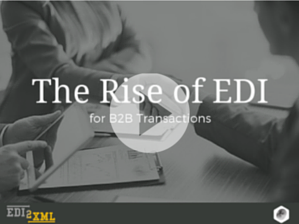 To know more about EDI, I invite you to visit our article entitled “What is EDI” as well as our short Slideshare “The Rise of EDI for B2B Transactions”. What kind of integration can be implemented with an eCommerce system? It is no secret that integration projects can require a lot of time, effort and resources. I am sure that many of our readers will agree on this since many have probably already gone through their own integration projects at least once in their career. They’ve seen first-hand how many problems can arise prior to a scheduled go live date. Shopify, for example, provides an API to access the store’s data to read or write data related to the store. They also provide a ton of documentation. However, there are specific technical obstacles that are not documented, which customers only experience once they “get their feet wet”. To do the integration, an integrator, who has never done integration with Shopify before, will need to spend time going through Shopify’s documentation. Support from most eCommerce Providers is usually done via email and can take a considerable amount of time to receive a response back. Shopify is no exception; however, in the past, I must admit they have been quick at times, which was appreciated. When the integration project with the eCommerce platform also requires integration with a Third-Party Business Partner (supplier), where an additional layer of communication is required to transform data to another standard or format (i.e. X12, EDIFACT, XML, JSON…) or to another legacy system (i.e. JDE), a new layer of complexity is added. Identify the required resources and expertise; in other words, the time, budget and expertise is different if you simply need to extract inventory and stock values from your software system and update your inventory status compared to if you need to send orders from Shopify to a supplier via EDI or other means. Try to go with an IT Service Provider who has the experience with these types of projects. Do NOT get confused and mislead by Providers who offer “FREE” apps. Most of the time, these “free” apps are not meant for businesses and won’t perform as needed. The above points are some of the key areas I have witnessed first hand with integration projects. There are of course plenty of other issues that a business owner or CTO may face during integration projects involving EDI, eCommerce or ERP. It’s my job to ensure projects that were once dreaded by company owners and managers, are now welcomed. 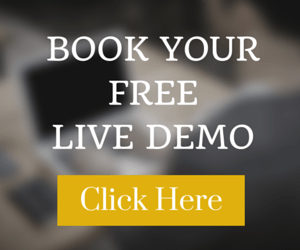 Please feel free to contact us for a FREE consultation, by clicking on the button below.